Traditionally, the locals would go up to the Phanom Rung Temple for alms giving and to worship the imprint of Buddha's foot on the 15th night of the waxing moon in the fifth month. 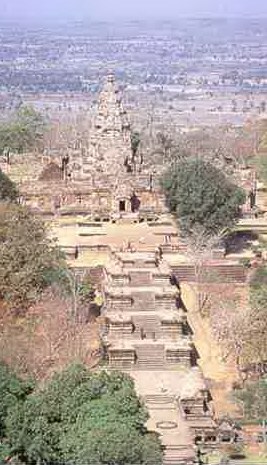 Phanom Rung is a religious site built in the Saivite Brahmin style set on top a mountain, 360m above sea level. The temple was built by Hiranya, who dedicated it to his sadhu father, Narenthrathit, in the reign of Suryajvarman II. 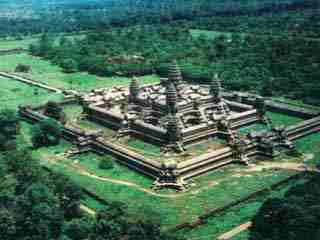 It was constructed between 1078 and 1178, in the same period as Phimai and Phanom Wan temples in Nakhon Ratchasima. 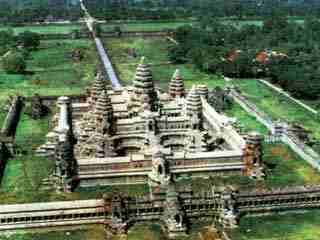 The construction took into account astrological aspects, and was built so that the sun's ray would beam through all fifteen doors of the temple in a straight line, with small intersections , on the 15th day of the waxing moon in the 5th month. 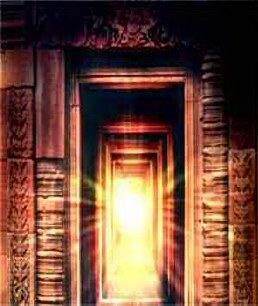 The festival is held onthe only day when one can observe a single shaft of light going through all fifteen doors of the temple. 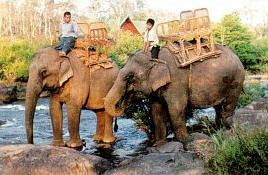 Visit Bangkok, Phimai Historical Park, Korat, Buri Ram, Khao Yai National Park, Surin elephant village, Ubon Ratchathani, the Mekong River & Khong Chiam village and more. See the magnicficent Temple of Phanom Rung, the spectacular Khao Phra Viharn & the stunning Prasat Sa Kamphaeng Yai -an 11th century Hindu Shrine dedicated to Shiva.